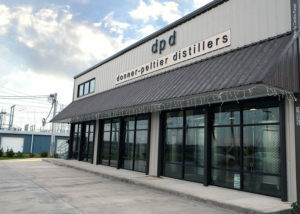 Donner-Peltier Distillers started out by committing themselves on producing best quality liquors. Today they are known for their Lousiana Rougaroux. 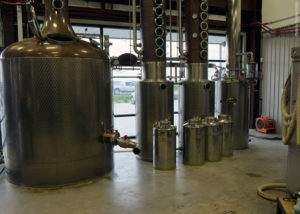 In the summer of 2011, Henry and Jennifer Peltier and Tom and Beth Donner decided to start distilling Rum in Thibodaux, Lousianna, in the heart of Louisiana’s sugarcane growing region. 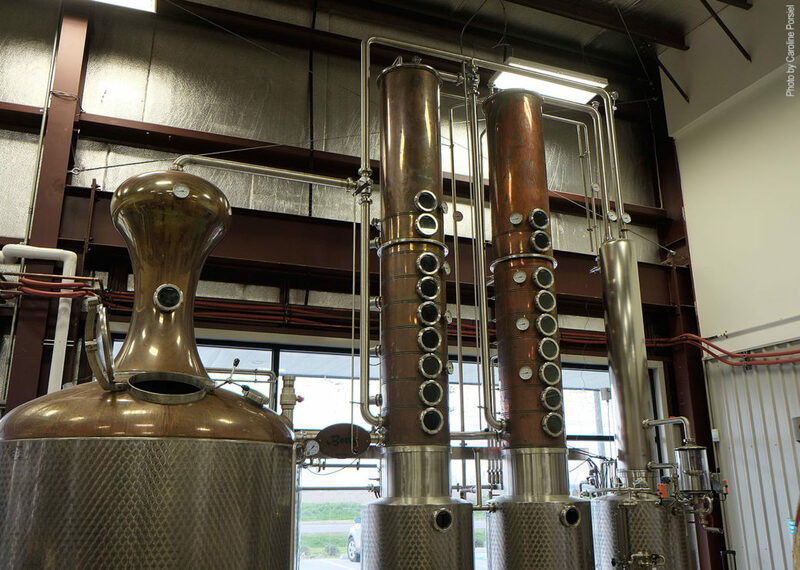 The distillery is equipped with the absolute best quality equipment available: Water filtration systems that purify water using four different methods, stainless steel mashing and fermentation tanks, and a 3000 liter, 18 foot high steam-fired copper Kothe still, capable of rectifying spirits 17 times in a single pass. The use of high-quality ingredients is distilled to high-quality products such as the Rougaroux Rum, Oryza Vodka made from Rice and LA1 corn based whisky. The story of the Rougaroux Derived from the French Loup-garou, the Rougaroux is a man transforming into a wolf at full moon. The Rougaroux legend is spread in Lousiana for many generations and merged with the Cajun belief of a creature to prowl the swamps and fields of Greater New Orleans by night. Similar to the idea of a werewolf the Rougaroux is described as a creature with human body and the head of a wolf. The wolf-like beast will hunt down and kill unfaithful people by night. The legend extends that the Rougaroux is under a spell for 101 days, after that time, the curse is transferred from person to person by drawing another human’s blood. This time of returning to human form, it can tell the detailed stories of fear and killing as Rougaroux. Some belief only seeing a Rougaroux curses one to become one yourself, others belief only a witch can spell someone to turn into a Rougaroux.